The Prince fell into the Cursed slumber on the third day of the full moon. They burned the witch for her crime, but it didn’t wake him. “True love’s kiss, that’s the ticket!” proclaimed the mages. They searched high and low for a maiden to wake the Prince. They started with the ladies he had grown up with. Surely among them, there would be someone who had fallen in love with him? They lined up to kiss him, more than a few with crowns on their mind as they puckered their lips. Then they tried every girl they could get their hands on. Not one could wake him. When it had been a year, Parliament installed a Regent. 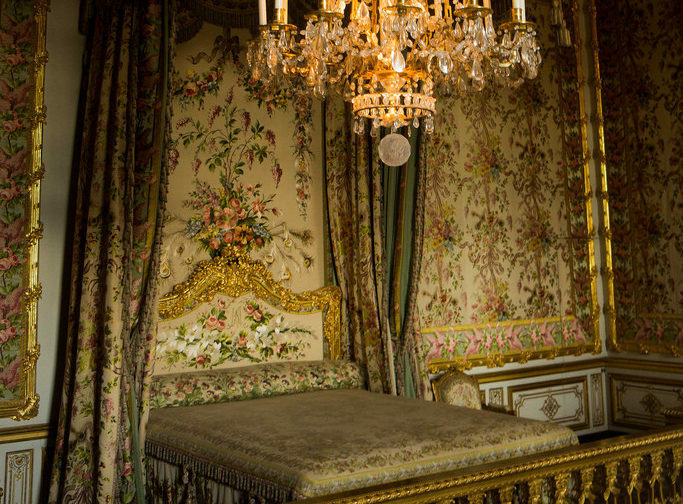 They needed the royal bedroom for him, so they wheeled the Prince in his four post bed into the Lesser Music Room. Tradition dictated a glass coffin for those Cursed. The Queen thought it was too morbid, so she placed him in a bed, covered with roses. That was Collie’s job. Dust the room, change the flowers, make sure the Prince hadn’t died in his Sleep. The last part was more of a guideline than an actual task. Collie knew you couldn’t die if you were Cursed. You stayed alive, eyes closed, dreaming, until you were awoken by true love’s kiss. Collie had paid his penny to see them lying there in their class coffins in the abbey, same as everyone else. The oldest had been there for nearly four hundred years. Collie was an orphan boy, bought off the nuns by the cook, who needed someone to read his recipes out to him as his eyes failed. When the new cook came, Collie was put to work at odd jobs around the castle, but mostly at keeping the Prince out of trouble. The Prince had a way of risking his neck at every turn round, whether it was riding too fast, or starting trouble with the common boys. Collie and the Prince had fought often enough to be called enemies, but he wondered if they were friends. “Yes, Your Highness, I’ll do a good job,” he replied. That was the Queen’s first and only visit to the Lesser Music Room. As the year drew on, fewer and fewer people came to see the Prince. Apart from the Butler, who only really came to see Collie was doing his job, a visitor was a rare occurrence. Still, every morning at sunrise, Collie got up, unlocked the door, opened the blinds, and aired the room. Then he would place his hand on the Prince’s chest and check his heartbeat, lean his ear over his nose to hear his breath. Satisfied that everything was alright, he would remove the flowers that were dying or discoloured, and then settle in for the day. The Prince didn’t need feeding three times a day, or the sundry other duties that Collie might have had if he was awake. So he sat on the chaise and read his book. The Queen said he could have all the Prince’s books, since nobody would use them anyway. Sometimes he read them aloud. They were the Prince’s books after all. Only fair that, thought Collie. He got to have his lunch and dinner on a tray, brought by a scowling footman. Only the governess had the distinction of eating off a tray, but she left when the Prince was ten, and he got a tutor instead. Sometimes it was cold when it got to him, and Collie was sure it was spat in more often than not. Still, it was on a tray, and it was the nice stuff the family ate, not the slops the Under-Cook served in the servant’s hall. When the clock struck eight, Collie was allowed to retire. They used to send a footman to do night duty, but it was pointless. Collie wondered if locking the door was the right thing to do. What if the Prince woke up in the middle of the night? How horrible would that be, to wake from an enchanted Sleep, in the dark, not knowing where you were, in a locked room. But they all knew it was an impossibility, so Collie did as he was told. The Changing happened on the first day of every month. It was Collie’s least favourite part of the job, but probably the most necessary. He would throw all the flowers into a bucket and burn them in the fire. Pulling back the coverlet, he would lever the Prince onto the folding table, set up alongside the bed. Collie tried not to linger on the folding table. It had been procured from an undertaker, for displaying corpses. It was the only thing that could take the Prince’s weight. With the Prince on the table, Collie would strip the bedsheets and hangings, and send them to be washed by the laundry. He would check the bed for lice and woodworm, and then reapply the new bedding. He’d put the Prince back on the bed, and start to strip his clothing. A doctor used to come, to check the Prince’s health as Collie did The Changing. They didn’t bother anymore, not when he hadn’t changed any the first few visits. They also used to send people to help Collie, but when they couldn’t spare anyone that summer, and saw Collie manage all by himself, they didn’t bother after that. It’s not like The Changing had to be rushed. The Cursed Sleep was a funny thing, Collie remarked. The Prince did not need the toilet, nor would he bleed when pricked. But he still sweated, and his hair and beard still grew. Sometimes saliva would drip out of his mouth, which would simultaneously horrify and amuse Collie. When the Prince was sans clothing, Collie would wash him top to toe. He also had to massage him, because the blood would settle along his back, across his bottom and down his legs. Collie would get the blood flowing again, and massage away the ugly purple blotches. He thought the Prince probably needed the massages more often than monthly, but Collie knew he’d have to be the one to do it, so he kept quiet. When he’d shaved him and trimmed his hair, he’d dress him again. He used to jokingly ask the Prince what he wanted to wear, like he used to all those years ago. But when he stopped expecting a scathing reply, he stopped asking. He had a system now. Every month had its own outfit. Apart from reading to him, the Changing was the only time Collie talked to the Prince. “I should have warned you,” said Collie, as he dabbed the cloth over his forehead. There was a surprising amount of dust that settled on people in Cursed Sleeps. Collie finally understood the need for the glass coffins. That was Collie’s litany each time. He locked the door when he did The Changing. He said it was to protect the Prince’s modesty, but he knew it was in case someone came in and heard him. When he was done, he made sure the Prince was lying comfortably, should he wake, then he would replace the coverlet, and lay out the flowers he’d picked the previous day from the garden. Stow the folding table under the bed with as few touches as he could manage. It was usually lunch by the time he was done, so he’d unlock the door and wait for the footman. On the last Changing before the new year, it was not the footman at the door with his tray. It was the Butler. He put down the book, and went to go from the room. The Prince didn’t need to hear the conversations of servants. But, instead, the Butler came in, locked the door and sat down beside him on the chaise. The Butler was more tender than he had ever heard him before. He might even have been tempted to put a hand on Collie’s shoulder. Collie wanted to tell him to stuff his place. His place was with the Prince, whether it was in the Lesser Music Room, or in the abbey. But he came to the realisation that probably many had had before him. The Butler went from the room, and then the footman came in with the tray. Collie ate listlessly, his mind elsewhere. He wondered when exactly the Prince would go to the abbey. He hoped he had a private room, away from the penny gawkers. At least he wouldn’t be lonely. There were probably other Princes and Princesses in there. Collie got up and locked the door. He felt as though he was burning with a fire from within. It was fuelled by anger, loss, and shame. And something else he didn’t quite recognise. He should have tried harder. He should have had girls from all over the known kingdoms in and out of that room, kissing the Prince. He should have spent his days reading about Sleeping Curses, and witchcraft. His nights should have been filled with hunting witches. Surely someone could have broken the spell? “I’m sorry, Gregory,” he said, and did something he didn’t know he wanted to do. He leant down and kissed the Prince, gently, on the lips. They were strangely warm. As though he was only napping, not in a death-like sleep. Their lips touched like the brush of a quill on paper, and a shiver rippled down Collie’s spine. He had wanted to do it, he admitted to himself. When the Prince was laying there, still broad and finely muscled, though he hadn’t moved in days, a stray lock of inky black hair whisping across his forehead. He’d wanted to do it from the moment he heard that a kiss could wake him. He’d wanted to do it before, that day when they laughed down by the lake, and he briefly forgot how insufferable the Prince could be. It all made sense to him now. Why he said yes when the Queen asked him to be the caretaker. Why he had never left his side though Gregory had been horrid to him more often than not. Why he didn’t like it when Angelique the kitchen maid smiled at him and why he didn’t care about her heaving bosom like all the other male staff did. It was a perfect moment, Collie thought. Until the Prince ruined it, spluttering a gob full of saliva into his mouth. “Sorry, Your Highness,” he replied, reflexively. He withdrew to the other side of the room. The Prince’s eyes widened as he remembered waking up. He looked at Collie, then he decided to industriously study the drapes. Silence descended on the room. It was making Collie uncomfortable, so did the only thing he could think of. Something he thought he would never have to do. He lifted off the cloche and rang the alarm bell, the one for the Prince’s awakening. The next few days were a flurry of activity, from which Collie withdrew to the edges. In the disarray, no one thought to give him anything to do, so he just went from room to room, blending in with the scenery. The Queen had to be persuaded to come, after too many nights of waking from dreams of the Prince’s awakening. When she arrived, she demanded to know who woke the Prince. Following a glare from Gregory, Collie lied and said he woke all by himself. The Prince summoned him on the third day, when he’d finally recovered enough strength to get out of the bed in the Lesser Music Room and returned to his apartments. The Queen had gone straight to Parliament to dismiss the Regent, and he was last seen packing his bags in the royal bedroom. The Prince was uncharacteristically silent. For his awake self, that was. Collie had almost forgotten what his voice sounded like. Collie coughed expectantly, and the Prince jumped like he had been disturbed daydreaming. Collie wondered if Cursed people ever had relapses. “It was true love’s kiss,” he argued. He wondered why he cared so much. Why he thought it was something worth fighting for. He had done his duty to the Prince, that was all. Collie shrugged. At least the Prince was awake now. Collie ignored the audible thump of his heart in his chest, which was surely it breaking. He was a practical person, that was why he had done so well as the Prince’s caretaker. He would be practical about the whole thing. He left the room. It was a breach of protocol to leave the room without being dismissed, but he reckoned the Prince could forgive him something so small, after what he owed him. He packed his bags and left right away, but not without collecting his wages from the Butler. The abbey took him without question. They couldn’t spare any of the brothers to look after the Hall of the Sleeping any more, so they were grateful to have him, especially with his experience. He got to take twenty percent of each day’s taking in exchange for his service. He kept the all the glass clean and streak free, and was happy to show the people around. He even made little cards to put on the end of the coffins, to explain who the person was, and what they had done, and how they ended up in a sleeping curse. The abbot liked that. It meant they could charge two pennies instead of one. It was a Sunday, so there were no visitors. He was using the spare time to measure the hall. One more from the neighbouring kingdom was being sent to them, and he was unsure they had the capacity. If they relaid the coffins with only a hand span between them, it might work this time, but they couldn’t take any further residents. They might have to build an upper gallery. “My mother was hurt you didn’t say goodbye,” said the voice. Collie thought he heard a crack, like all the glass coffins had shattered at once. Then he realised he had not heard it, but felt it. It was the smack of his heart against his ribcage. “I wanted a clean break,” he said, as he forced himself to turn. “You should go and see her,” said the Prince. “Maybe,” replied Collie, picking up a cloth to wipe one of the coffins. He bent down to examine the card on one of the coffins. Brunhilda, our oldest resident, it read. Who she was and why she was cursed remains unknown. He looked up at Collie, and Collie had to look away. He’d never seen that look in the Prince’s eyes. Except, perhaps, he may have imagined it on a warm summer’s day by the lake. Collie nodded and put down the cloth. There was a strange feeling in his stomach, not altogether unpleasant. He realised the Prince was not the only one who had been in a Cursed sleep, and awoken by a kiss.